YES, we will participate in Skip Lunch Day to be held on Friday, 8 March 2019. Please provide the following materials for our promotion of the event. YES, we will support Skip Lunch Day by making a donation, but we DO NOT NEED any Skip Lunch Day Coupon. 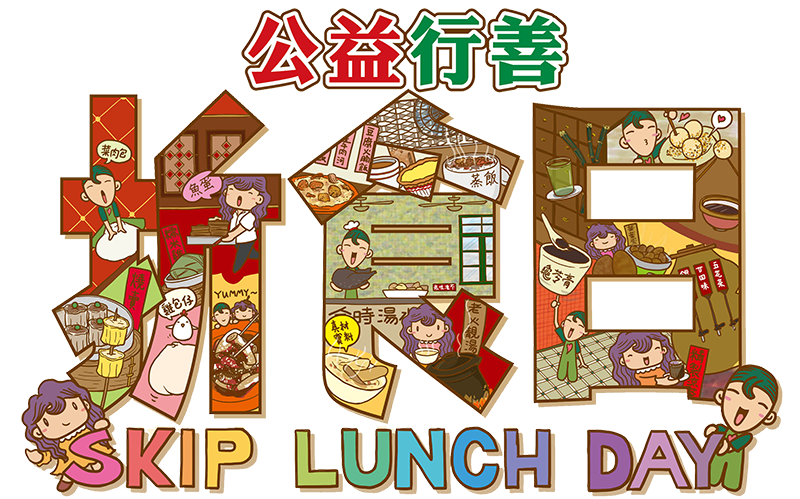 Please confirm the quantity of Skip Lunch Day Coupons via email (skiplunch@commchest.org) or fax (2506 1201) on or before 22 February 2019 (Friday). Coupons are available on a first-come, first-served basis while stock lasts. If your Company DOES NOT WISH The Community Chest to use the data collected to keep your Company updated with the Chest’s fund-raising events, marketing & promotional activities, newsletters, volunteer services and surveys to collect donor opinions, donor acknowledgement and receipt issuance, please tick the box.